The ability to influence people's thoughts and feelings, to generate their buy-in, has emerged as the paramount leadership skill. The strongest leaders are those who create a positive vision of the future, paint a "big picture" that generates action by tapping into people's emotions, ask for a commitment, and inspire their listeners to take steps toward the goal. 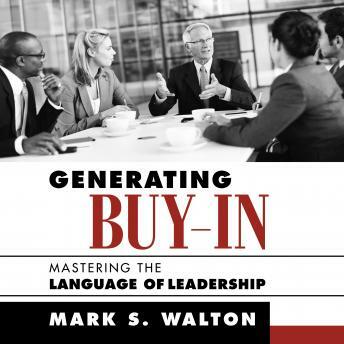 Generating Buy-In: Mastering the Language of Leadership will help you master the powerful language that breeds such a commitment. Complete with examples, practical exercises, sample business scenarios, and a foreword by William Ury, coauthor of the best-selling Getting to Yes, Generating Buy-In is an indispensable resource for leading and succeeding in today's fiercely competitive world!